Below you can view all the homes for sale in the Rivermoore Park subdivision located in Suwanee Georgia. 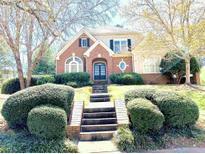 Listings in Rivermoore Park are updated daily from data we receive from the Atlanta multiple listing service. To learn more about any of these homes or to receive custom notifications when a new property is listed for sale in Rivermoore Park, give us a call at 404-998-4113. In Middle Of Small Renovation In A Couple Areas. MLS#8566680. Kelly Right Real Estate Of Ga. Basement: Easily Converted To Apartment, Full Bath, Art Room, Media Room/Gym, Game Room (Pool Table, Air-Hockey, Foosball), Bar, Workshop, Eight Storage Areas. MLS#6536789. Coldwell Banker Residential Brokerage. Two And A Half Car Garage/Shop Ready For A Motorcycle, Jet Ski Or Electric Car In Addition To Cars. MLS#6535615. Keller Williams Realty Atlanta Partners. Truly A Must See, Make Your Appointment Today This Home Won'T Last Long! MLS#6523864. Rocket Homes Real Estate, Llc. 3 Car Garage! Just Painted! Ng Schools MLS#6526353. Keller Williams Realty Atl Part. Gorgeous Screened Porch & Stone Patio Overlooks Level Back Yard. MLS#6521828. Berkshire Hathaway Homeservices Georgia Properties. Unwind On Your Covered Porch Overlooking Your Peaceful Backyard. Award Winning School District! MLS#6517338. Atlanta Communities. To Follow MLS#6517282. Atlanta Communities. Fenced Level Backyard W/ Covered Patio & Room For Pool! MLS#6515970. Berkshire Hathaway Homeservices Georgia Properties. Unparalleled Amenities: Pool W/Clubhouse,10 Lgtd Tennis Ct'S,Bball Ct,Play Ground,2 Lakes & 80 Ac Meadow W/Trails. Award Winning Ng Schl'S. MLS#6511026. Coldwell Banker Residential Brokerage. Relax In The Screened Porch Or Entertain Friends In The Large Finished Basement, Complete With Theater Designed Room, In Addition To Another Bedroom And Full Bath. Prime Location! Great Price! MLS#6508663. Wade Works Real Estate. Updated Lighting. Roof 4 Years Old MLS#6507098. Virtual Properties Realty.Com. Amazing Terrace Level With Custom Finishes, Bedroom, Full Bath, Rec/Media Rooms. MLS#6502926. Re/Max Center. Walk To Amenities & 80-Acre Nature Meadow. North Gwinnett Schools! MLS#6503047. Keller Williams Realty Atl Part.